Gebauer Company has a history of honesty, integrity and premium quality products to help healthcare professionals improve the patient experience. Charles and Theophil Gebauer founded Gebauer Company in Cleveland, Ohio. The two develop a metal jet stream dispensing tube, one of the world’s first commercially marketed aerosol containers, which is patented for use with the company’s first product: Gebauer's Ethyl Chloride®. Charles and Theophil Gebauer founded the Gebauer Company. In 1898, brothers Charles and Theophil Gebauer founded the Gebauer Company. 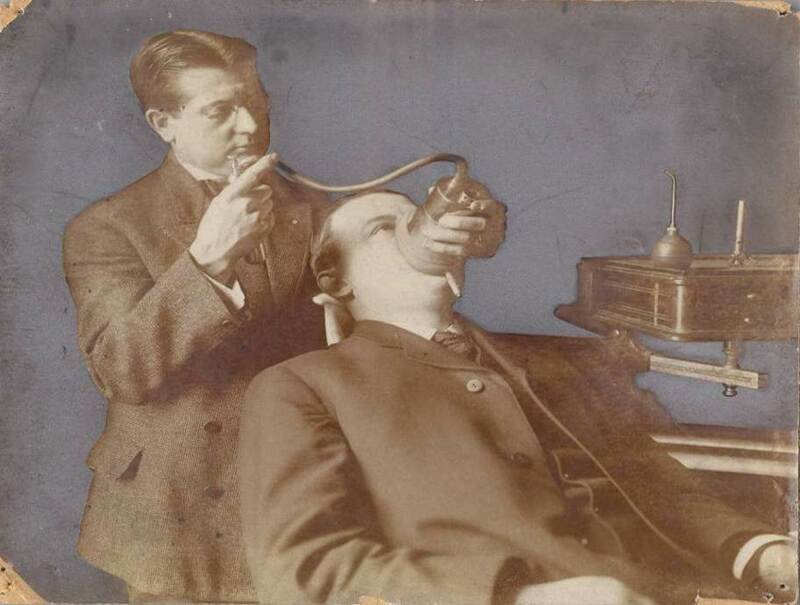 Their first product, Gebauer’s Ethyl Chloride®, was the most widely used local anesthetic until 1905, when a German chemist introduced Novocain®. The Gebauer Company flourished under the private ownership of the Gebauer brothers. The product became a fast favorite among physicians spanning multiple specialities and set a new standard for patient comfort. In the early days, users would break the tip of a glass ampoule containing ethyl chloride, and pour ethyl chloride directly onto the patient. Unfortunately, this allowed little time for performing the medical procedure, and any leftover product was wasted. The Gebauer brothers noted this inefficiency and began exploring other options. In 1901, Charles Gebauer developed one of the earliest aerosol containers to be commercially marketed. This innovative resealable metal tube allowed for jet stream dispension of Gebauer’s Ethyl Chloride®, revolutionizing the product’s use. In 1906, Charles Gebauer patents one of the industry’s first general anesthesia inhaling devices for use with Ethyl Chloride. In 1914, the iconic product ships off with the troops to the front lines of World War I and, a couple decades later, World War II. Gebauer Company begins supplying Ethyl Chloride to the U.S. armed forces. One of the most popular products clinicians rely on to bring patients relief today was the same product used by medics on the front lines of some of the most influential battles in American history. In 1914, the Gebauer Company began supplying Ethyl Chloride to the U.S. Armed Forces. The product was used for both emergency surgeries on the battlefield, as well as pain relief, throughout World War I. In 1939, Ethyl Chloride again returned to the battle front for use during World War II. 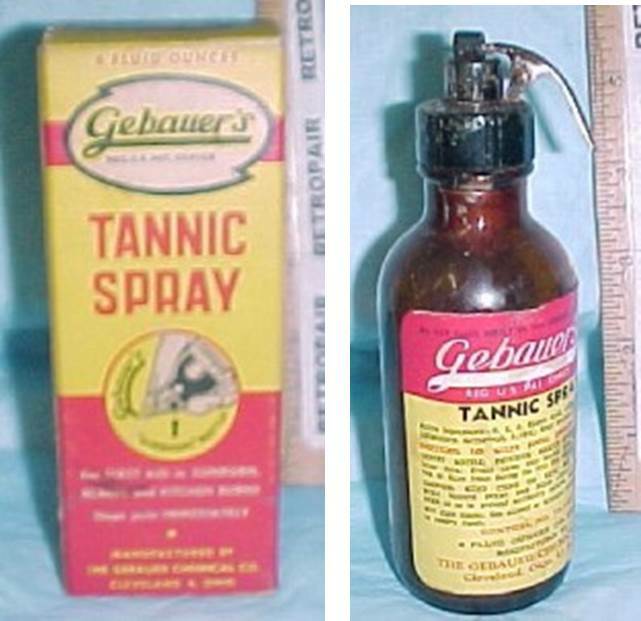 Additionally, between the two wars, the Gebauer Company patented the Gebauer Dispensal™ Cap and Bottle, and introduced Tannic Spray, an industry favorite used to ease minor burns. Later, in 1953, Gebauer introduced Fluro-Ethyl, a product widely adopted for dermabrasion treatments. The Rose Family, manufacturers of Zemo liquid and paste products, acquires the Gebauer Company. Under guidance from Dr. Janet Travell, the Gebauer Company produces Fluori-Methane® in 1960. Dr. Janet Travell guides Gebauer in the production of Fluori-Methane. Gebauer Company continued to produce unique products for use by the medical industry. During this time, Gebauer established a close working relationship with Dr. Janet Travell, a well-known physician and pioneer in the use of vapocoolants for the treatment of muscle spasm and myofascial pain syndromes. Dr. Travell wrote many articles and books detailing the use of ethyl chloride for trigger point therapy and a practice she deemed “spray and stretch.” The spray and stretch technique is still in practice today. 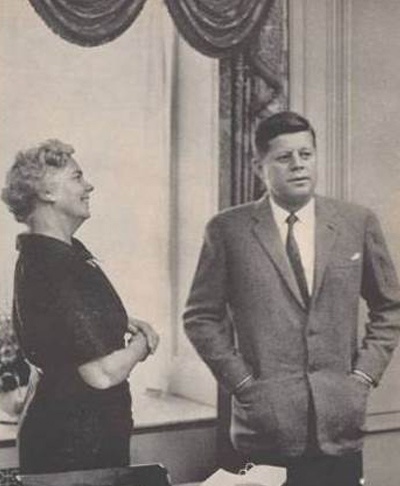 Dr. Travell is well known as White House Physician to Presidents John F. Kennedy and Lyndon B. Johnson. In 1960, Dr. Travell assisted the Gebauer Company in producing Gebauer's Fluori-Methane®. Fluori-Methane was produced until 2004 when it was replaced by Gebauer’s Spray and Stretch®. Gebauer focuses on exploring new opportunities to expand its patient comfort line, and evolve with the changing requirements of the environment and healthcare market. Gebauer releases new products and moves to its new state-of-the-art facility. Gebauer Company continues its history of innovation by developing new products and acquiring products such as Salivart® Oral Moisturizer, as well as Dr.’s Cream and Chiropractor’s Cream, two popular topical pain relief creams. In June of 2004, Gebauer Company moved from its 84-year-old factory in Cleveland, Ohio, to a new state-of-the-art, 58,000 square foot facility. This same year, Gebauer’s Pain Ease® was cleared by the FDA for pain management during injections, intravenous procedures and minor surgical procedures. 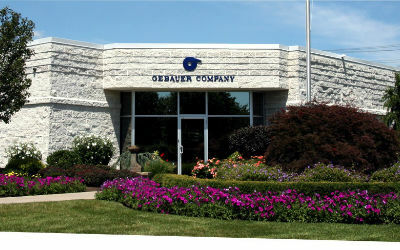 In January of 2008, the Gebauer Company completed construction of an environmentally controlled filling suite, an enhanced air purification system and a new clean compressed air system. The project, which was designed to meet the requirements of a Class 100,000 Clean Room, significantly enhanced the environmental controls and monitoring of the vapocoolant production area. Gebauer’s Ethyl Chloride® ACCU-STREAM 360™ with Sure Lock Technology™ is introduced, and allows spray from almost any angle with a safety locking ring to help prevent accidental spraying. In 2015, Gebauer Company adds Gebauer’s Pain Ease® in a new single patient package to their extensive product line.